The RLPO set off on a seven hour coach journey this morning; the destination La Coruna. 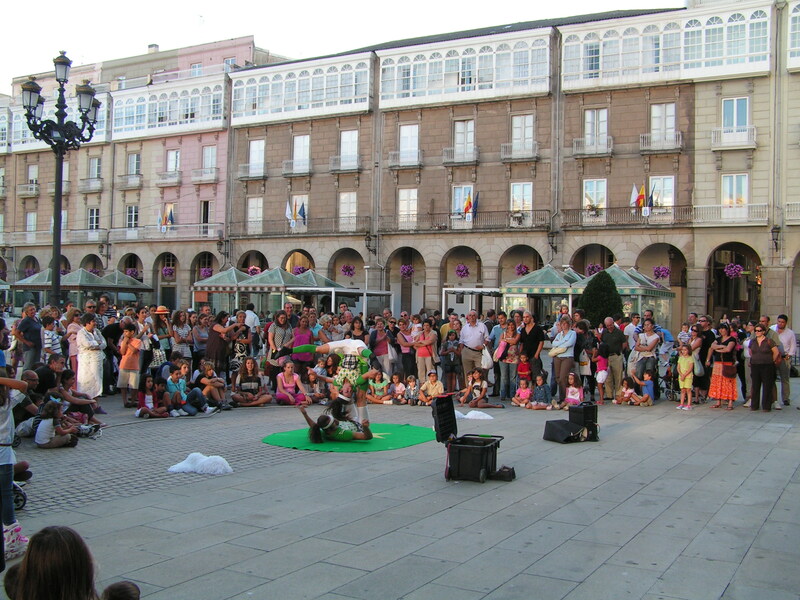 We are staying in this historic port city whilst performing at the Xacobeo 2010 festival in Santiago de Compostela. 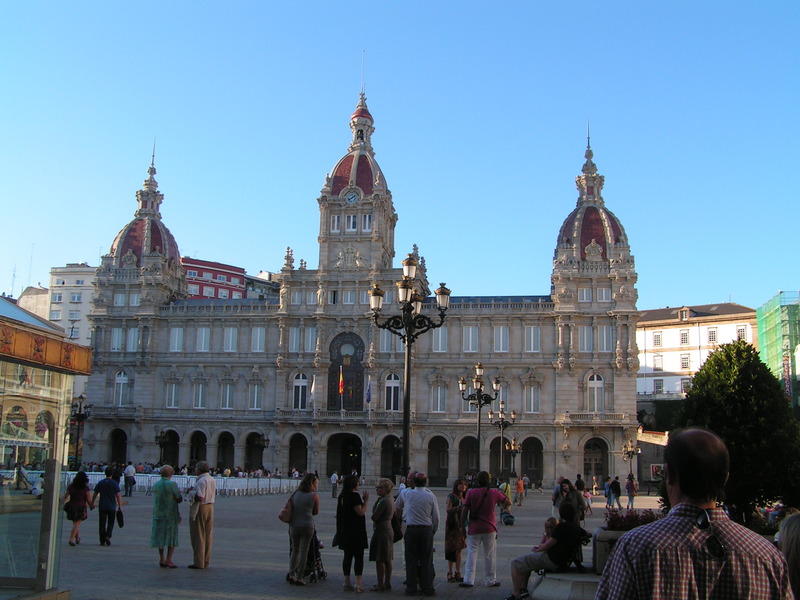 Having arrived in La Coruna and got my belongings unpacked in the all new swanky Hotel Attica21, I decided to get the bus into town and explore some of the cultural treasures on offer. The RLPO had the evening free, so that left me with plenty of options. 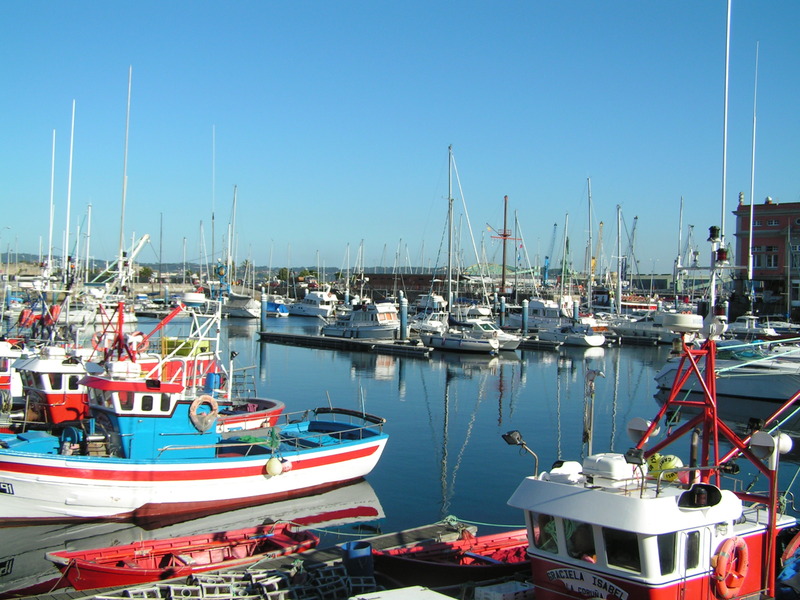 I got off the bus in the port and walked past the Marina and extensive sporting facilities. I had decided to head into the historic Old Town and follow the tourist trail around the beautiful old buildings. 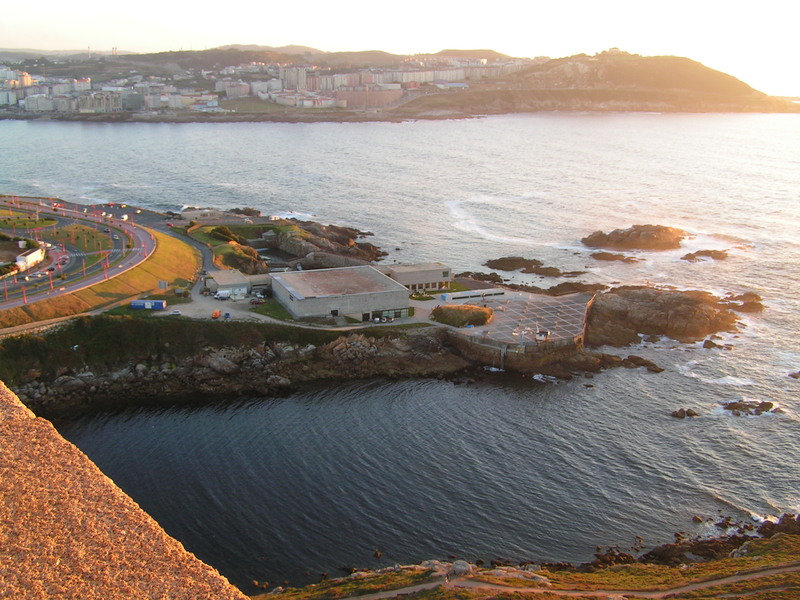 La Coruna has been the scene of many famous battles, the British involvement being of considerable importance. Two of my close friends are keen students of military history so I decided to start my tour with a visit to the beautiful Garden of San Carlos. 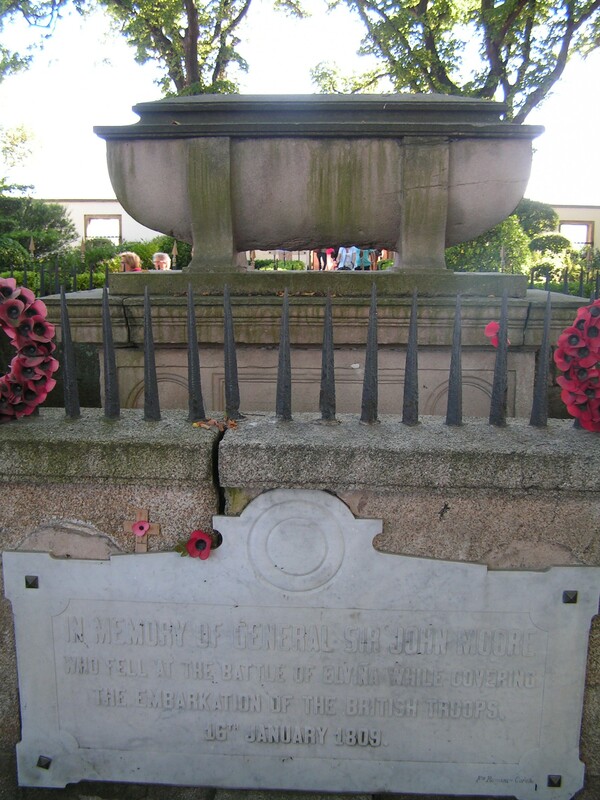 Apart from the tranquil gardens I wanted to see the tomb of General Sir John Moore, famous military strategist who was killed by a cannon shot in La Coruna. His last wish was to be buried where he fell, so I paid a visit. The gardens are very quiet, an oasis of calm in a busy city and fitting as a place of rest to such a great hero. 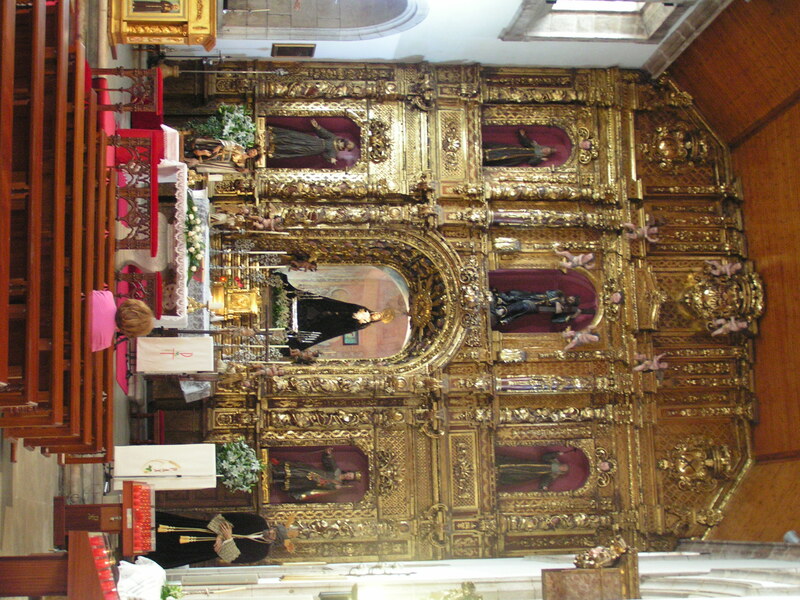 Exiting the garden, I strolled across to to Military museum, only to find it closed so I went into the stunning baroque Iglesia de la Venerable Orden Tercera. The Art work in this church is absolutely stunning. 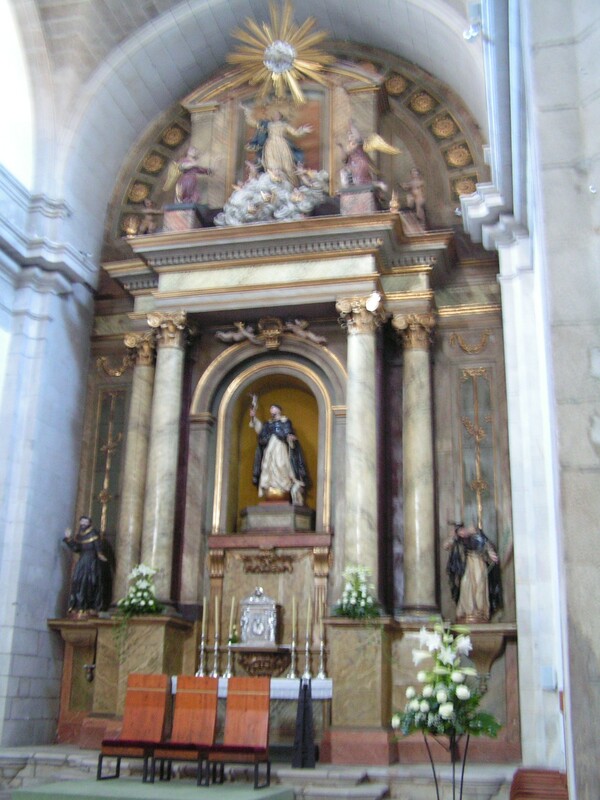 Myself and others simply gazed in awe at this altar piece. 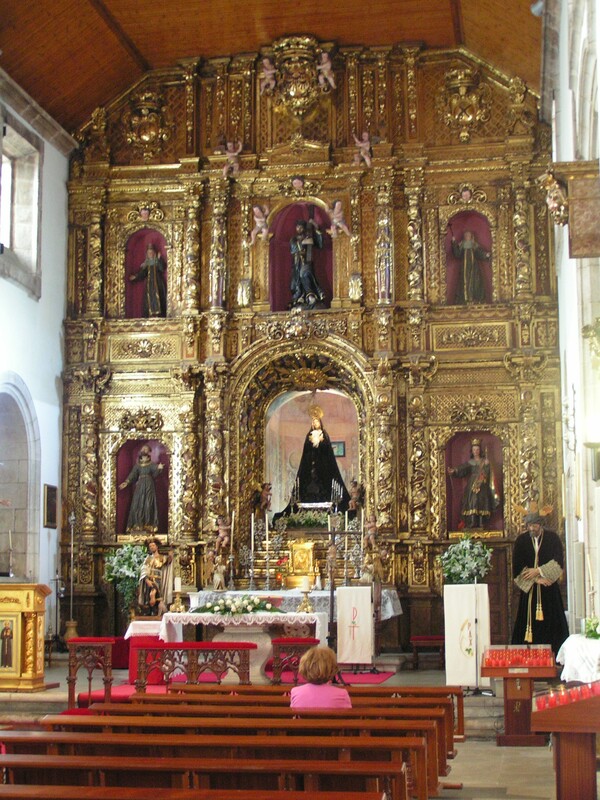 From there to the Convent of San Domingo, with an equally thrilling interior; particularly worthy of note were the main and side altars. 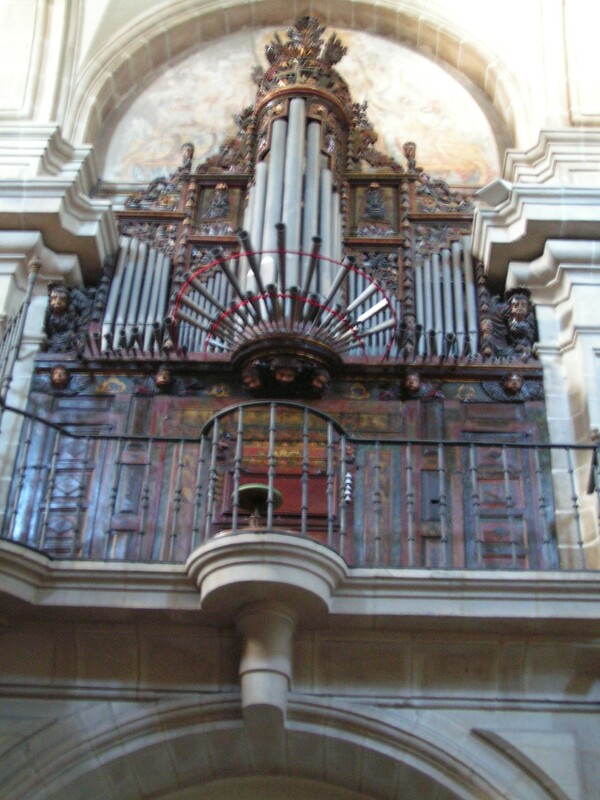 I, and others thought the rather quirky looking organ was also an interesting aesthetic pleasure.It was a short walk to the Convent of Santa Barbara. 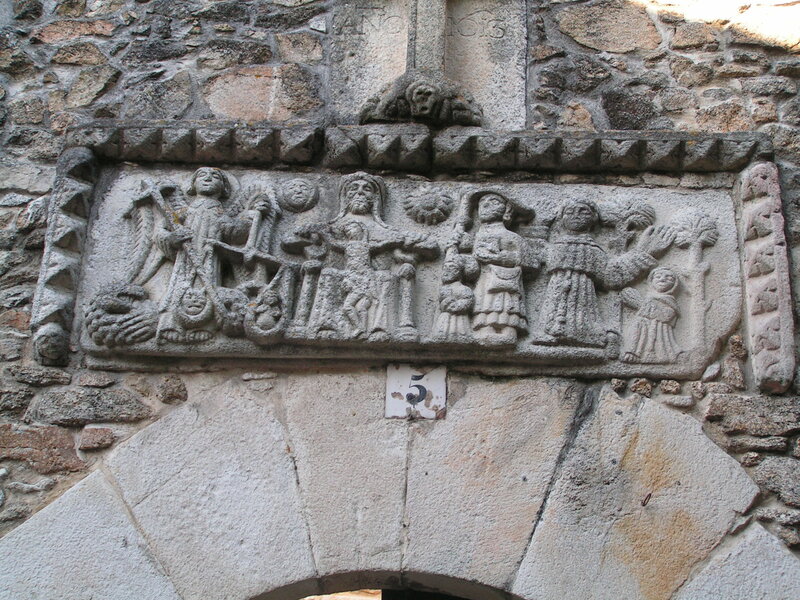 I couln’t gain admittance because the building was locked, but there was a very interesting scene above the entrance way. 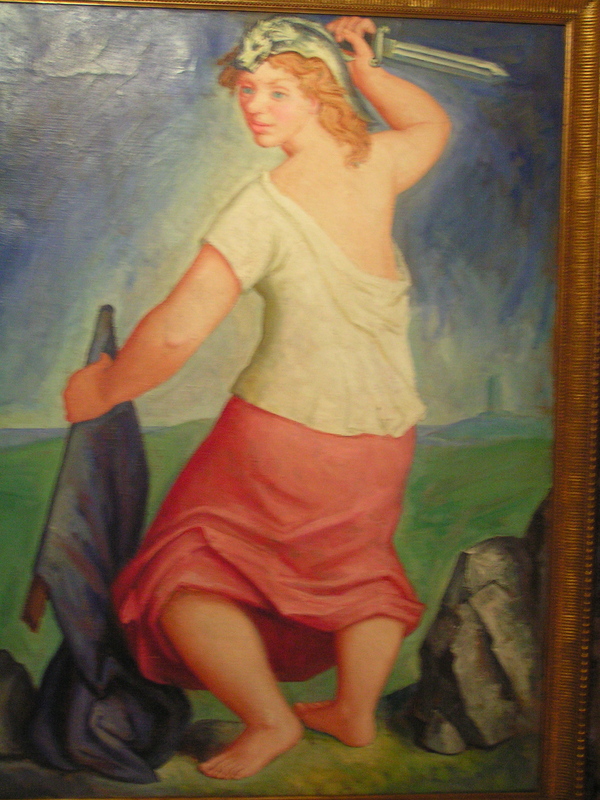 Next on the tourist trail was a visit to the house of the ‘Heroine of La Coruna’, Maria Pita. 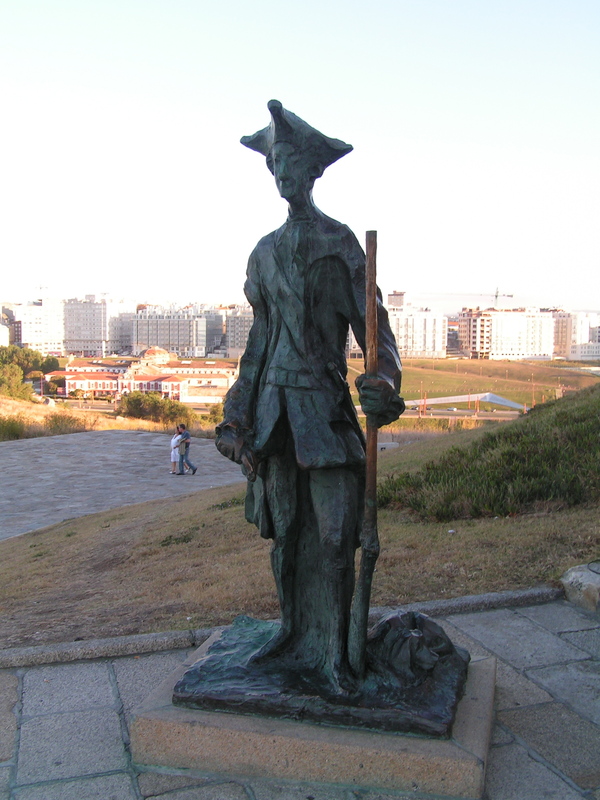 This lady is credited with leading the defence of La Coruna from attacks by the English, led by Sir Francis Drake, in the 16th century. 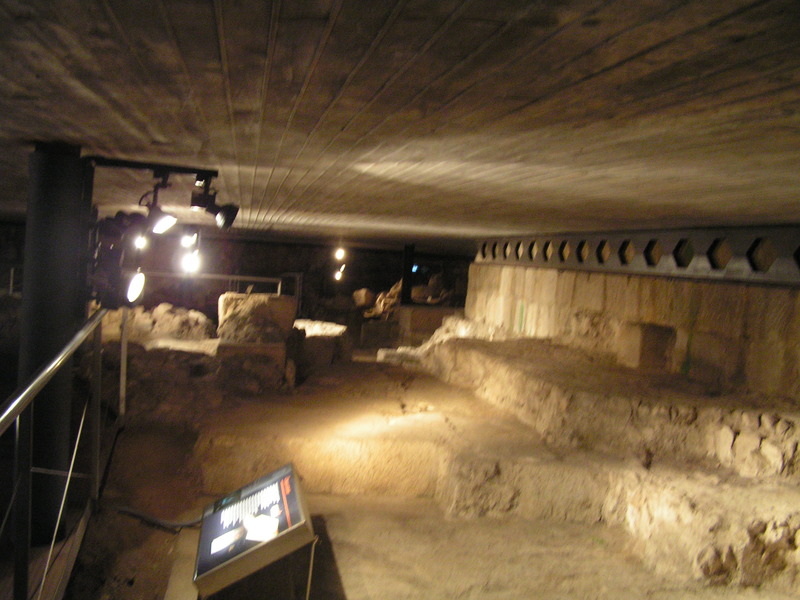 This new looking museum, not complete yet offers a fascinating insight into her life and the history of the city in those times, including a replication of typical living acomodation. 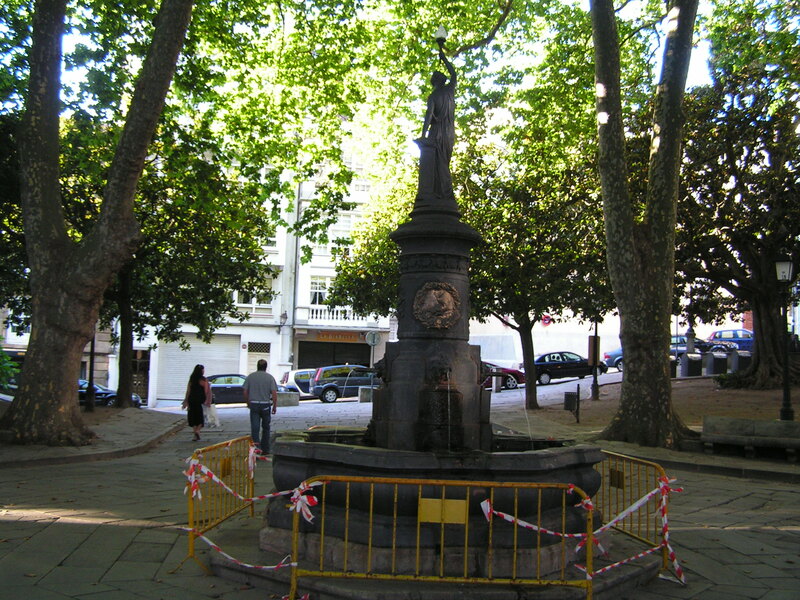 Much of La Coruna’s old town seems to be undergoing a period of investment and regeneration. It’s going to look fabulous when finished. 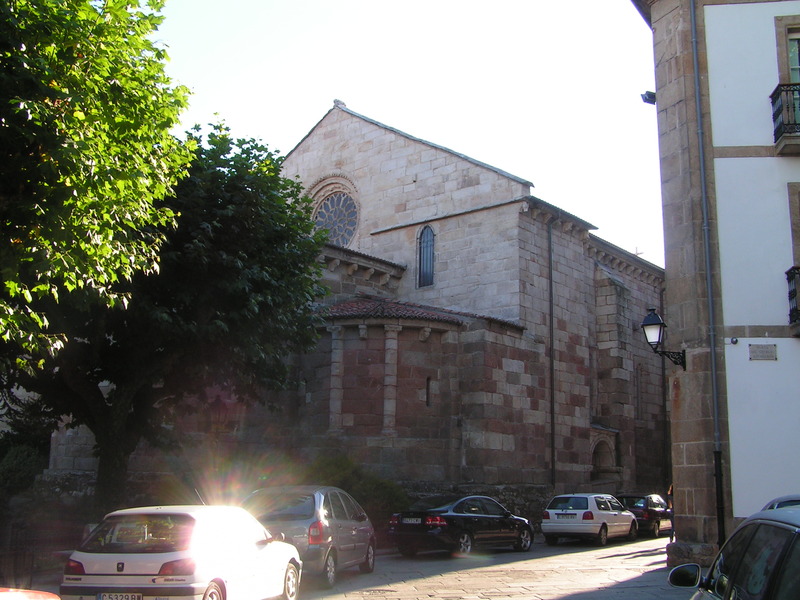 There seems to be several important aspects of the Old Town named after Maria Pita. 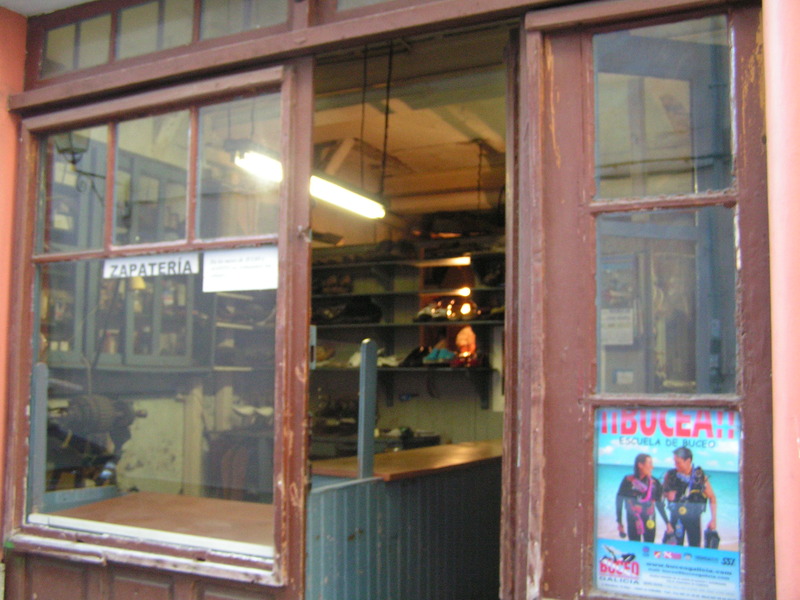 On my way to the next important place on the official tourist map I passed a ‘proper’ old fashjioned cobbler’s shop. I can never find one of these when I need one! We couldn’t enter the beautiful Iglesia Romanica de Santa Maria del Campo, due to a local wedding taking place so we set off down the road to the Fuente del Deseo with it’s array of protected ancient trees and beautiful fountainsA beautiful park from where we could observe the Capitania General [ a reconstructed neoclassical palace] and the stunning Iglesia Romanica De Santiago [ a stunning church with circular outside walls and bell tower]. There were many other treasures on this official Old Town tourist map but by far the most impressive has to be the Plaza de Maria Pita and the Palacio Municipal. 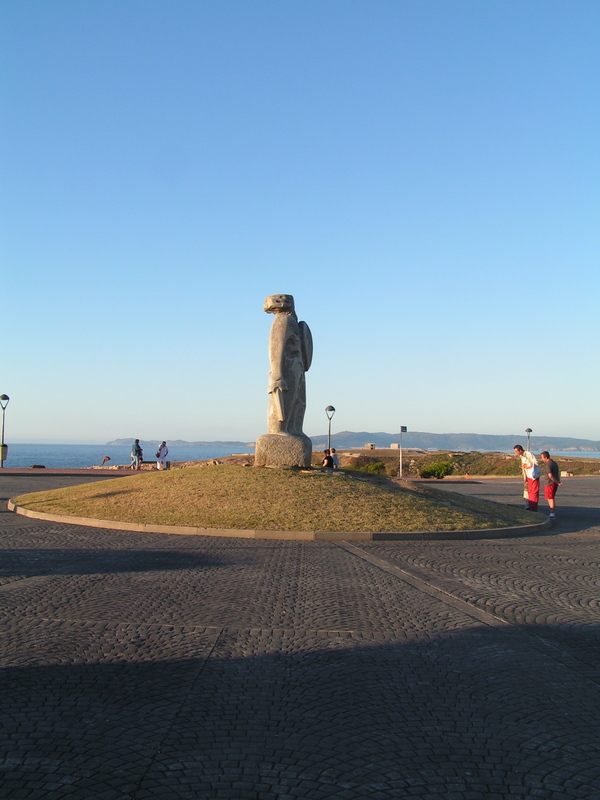 The main square of the Old Town and government building. 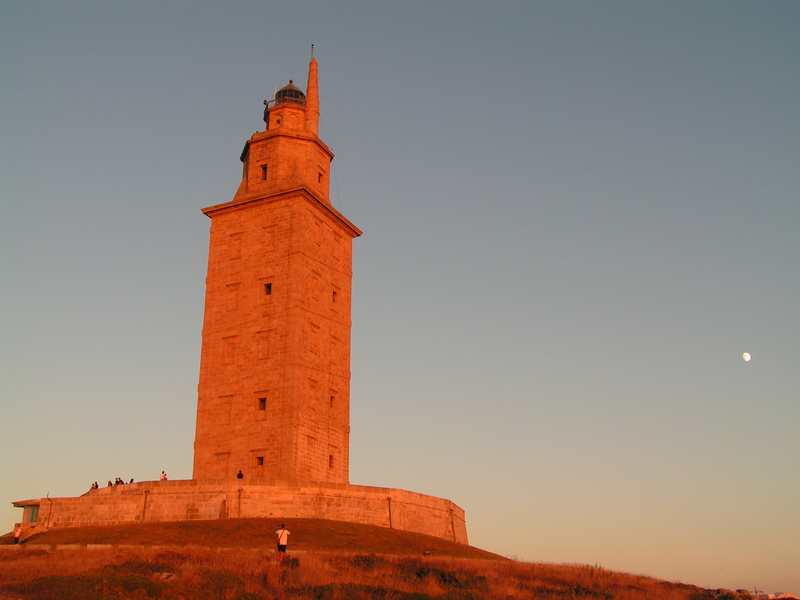 Next on the tourist trail was to walk straight across the Old Town to the Atlantic Ocean to pay a visist to the La Coruna’s most famous landmark, The Tower of Hercules. 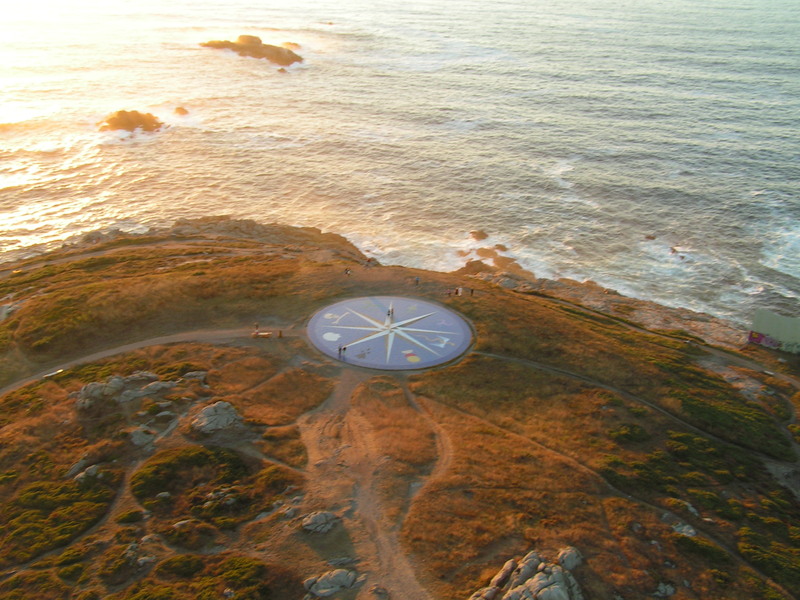 This site has just been granted Unesco World Heritage status and is the only surviving, working Roman Lighthouse. 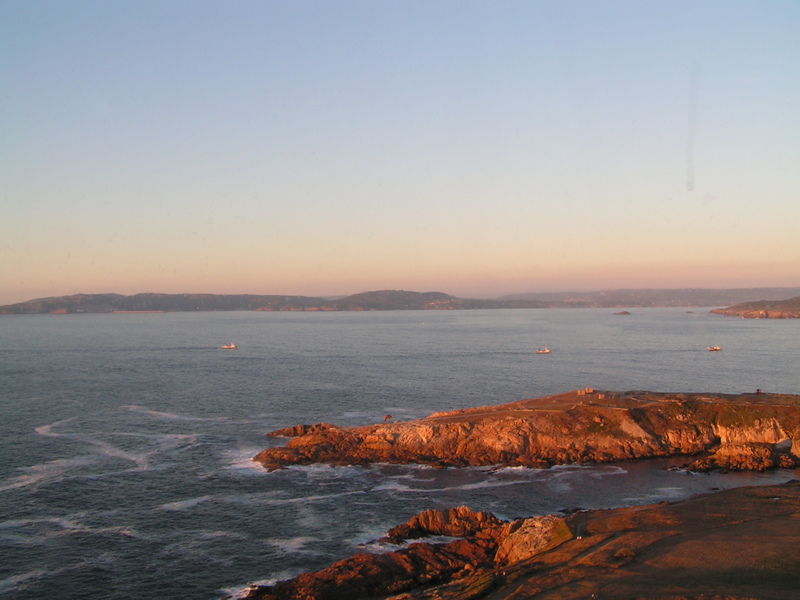 Those who climb the ramp and steps of the Lighthouse are said to be rewarded with some of the best views in La Coruna. I thought it best just to show you some pictures of the views and glorious scenery. This entry was posted in About Brendan Ball, The Gallery, The Tour Blogs & Brendan's Solo Blogs. Bookmark the permalink. Good to see you’re still enjoying the tour and quite jealous too! I’ll get more photographs up tomorrow from San Sebastian! 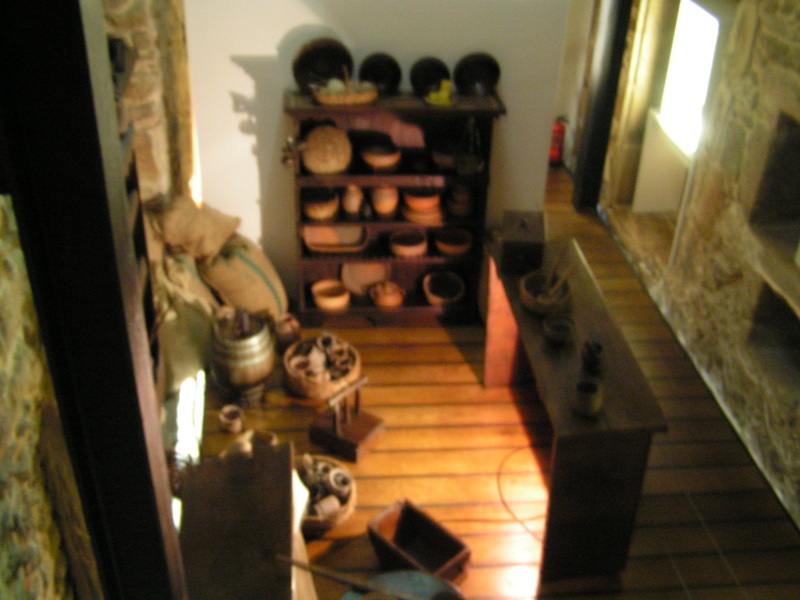 We have been reading your blog re the Spanish tour and find it so interesting. So much so that we feel we are there in person. We could well be on your tours with you. We hear of the great reception the Phil are receiving and hope you all survive Parsifal. ( Also known in the ‘Phil as David’s Mum and Dad ). Thanks very much. That’s just about the nicest thing anyone could say about the blog.